Intricate floating walkways, surrounded by wild and powerful waterways, link an untouched Namibian cluster of islands in the heart of the Mambova Rapids. 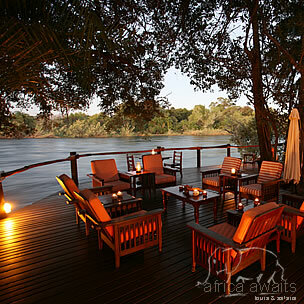 Situated 70 kilometres upriver from the Victoria Falls - where white sand beaches and palm trees add to the romance - Ntwala Island Lodge is a wonderfully secluded Chobe destination. Ntwala Island Lodge comprises four ultra-luxury styled suites, each inclusive of a private plunge pool and viewing deck; annex bath feature; indoor and outdoor shower; as well as a private sala extending enticingly out over the water. We ensure personalised service and culinary expertise as well as privately guided activities (big game, fishing and birding). 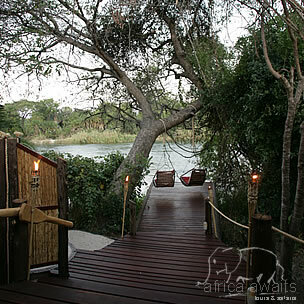 Ntwala also offers exclusivity and intimacy within a complete holistic African experience. Meander between the multiple waterways with your personal guide and private boat, cruise the quiet backwaters or revel in an exclusive Chobe sunset cruise while viewing a plethora of game. Pursue the famed tigerfish on fly with excitement and anticipation. Visit for a time. Reminisce for eternity. 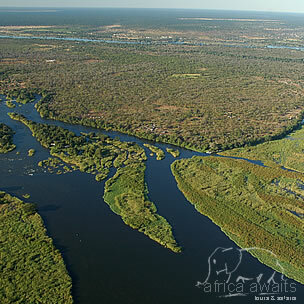 With your holiday, safari or business trip from in to Ntwala Island Lodge in Namibia.